The program, The Invisible Shape of Music, on April 11 at 7:30PM, creates this invisible but powerful exhibition of a wide range of emotions, displaying all musical styles with the resolve of Beethoven, baroque Bach, capricious Schumann, and impressionistic Debussy. 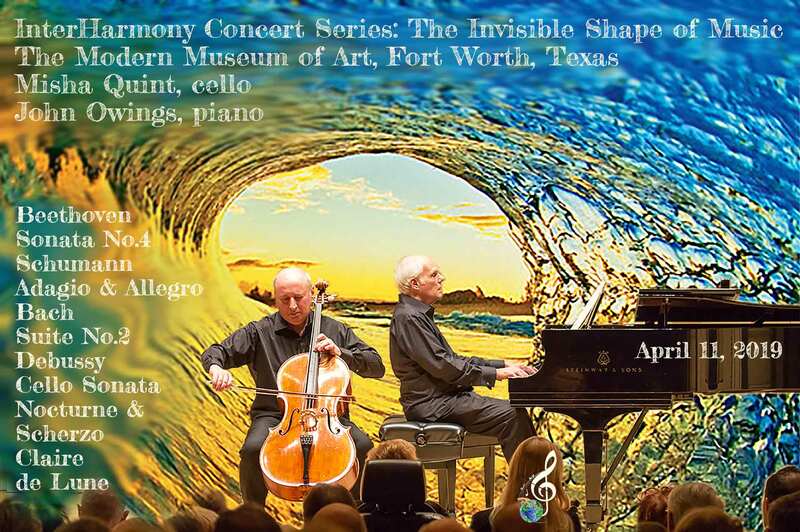 Cellist Misha Quint and pianist John Owings will perform this concert presented by InterHarmony® International Music Festival at the Modern Museum of Art in Fort Worth, Texas. Tickets are $35 for Adults, $30 for Seniors, and can be bought online at eventbrite.com or 2 hours before the concert at the door. Tickets are $35 for Adults, $30 for Seniors, and can be bought online at www.interharmony.com/interharmony-concert-series-fort-worth-texas or 2 hours before the concert at the door.